Give a professional look to your next project with serged seam finishes. Seams lie flatter and look better with an overlock stitch. Home décor projects often suggest the use of a serger for rolled hems, secure seams and differential feed. Choose from a 3 or 4 thread look and enjoy the new and easy threading method. The 3034D features two needles and 3 / 4 thread with differential feed. 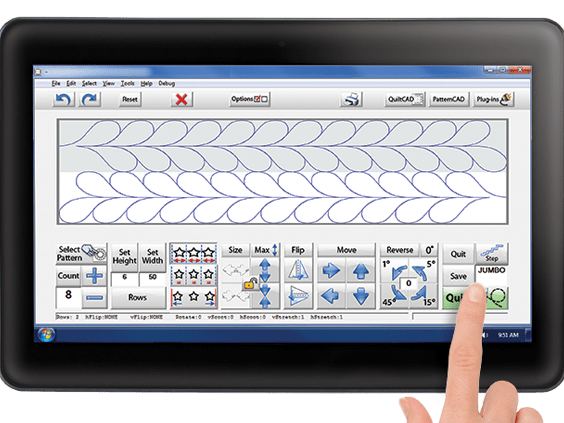 Create stitches from 2.0 to 4.0 mm in length. The differential feed ratio of 0.7 – 2.0 gives improved stitch quality and the free arm makes it easier to sew sleeves, trouser legs and other hard to reach places. 13.4" x 11.96" x 11.16"
1/5/25 year serger warranty. See serger warranty for details. 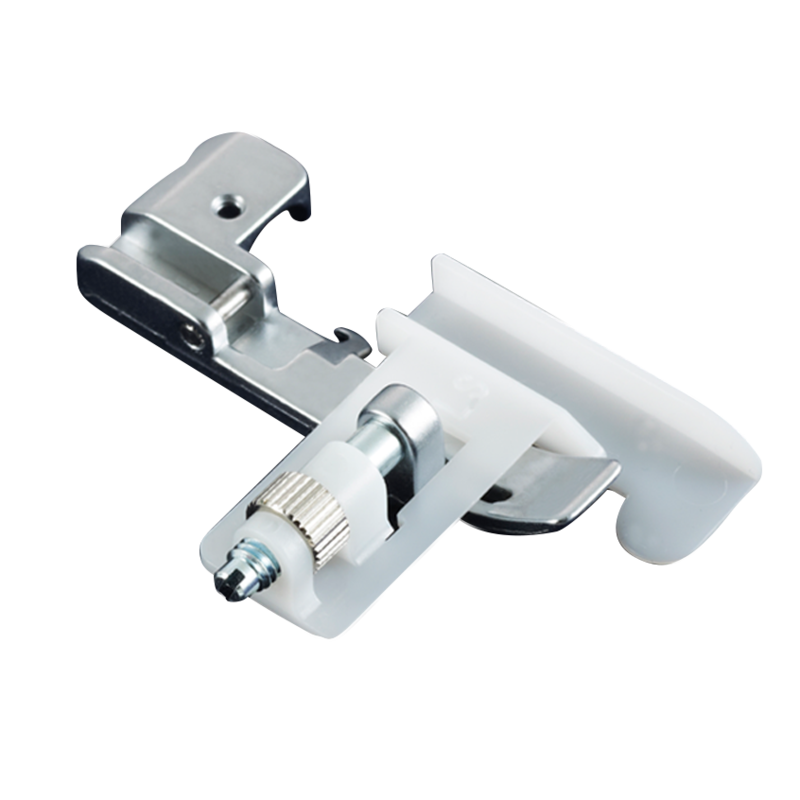 Genuine Brother Accessory.Guide and hold narrow piping as you use your overlock machine. Create your own piping using fabric strips and piping cord. Holds and guides piping eliminating the need for pins as piping and fabric are serged together. Guide and hold zipper in place with guide on the underside of foot to hold teeth of zipper foot in place as zipper and fabric are serged together. Genuine Brother Accessory. 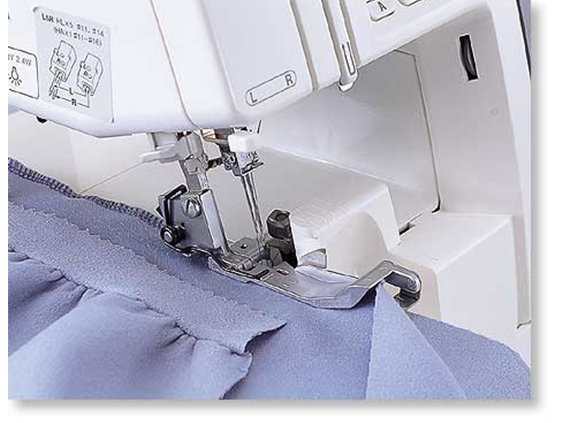 Attach and sew elastic or tape in one easy step with your overlock machine. Adjustable stitch width up to 12mm. 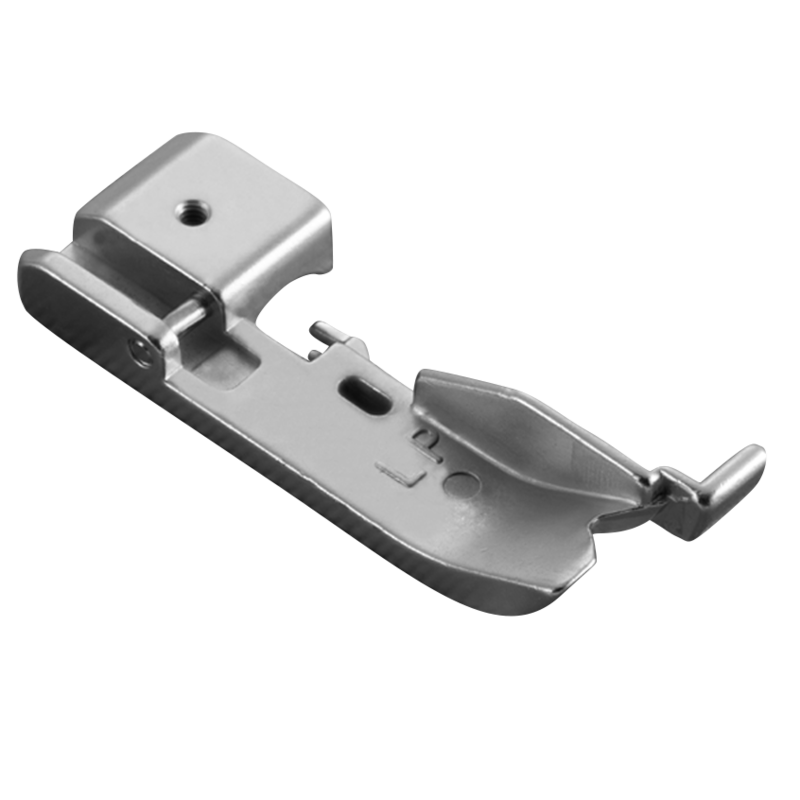 Channel on foot secures elastic or twill tape to fabric eliminating the need for pins as you created a serged edge. Gathers knits as elastic is attached. Genuine Brother Accessory. Gathering and edge finishing in one operation. Serge finish fabric edges with this snap on foot. Channel on foot secures fabric elimnating the need for pins as you create a serged edge and gather single or double layers of fabric. Connect fabric layers and edge finish in one step. Genuine Brother Accessory. 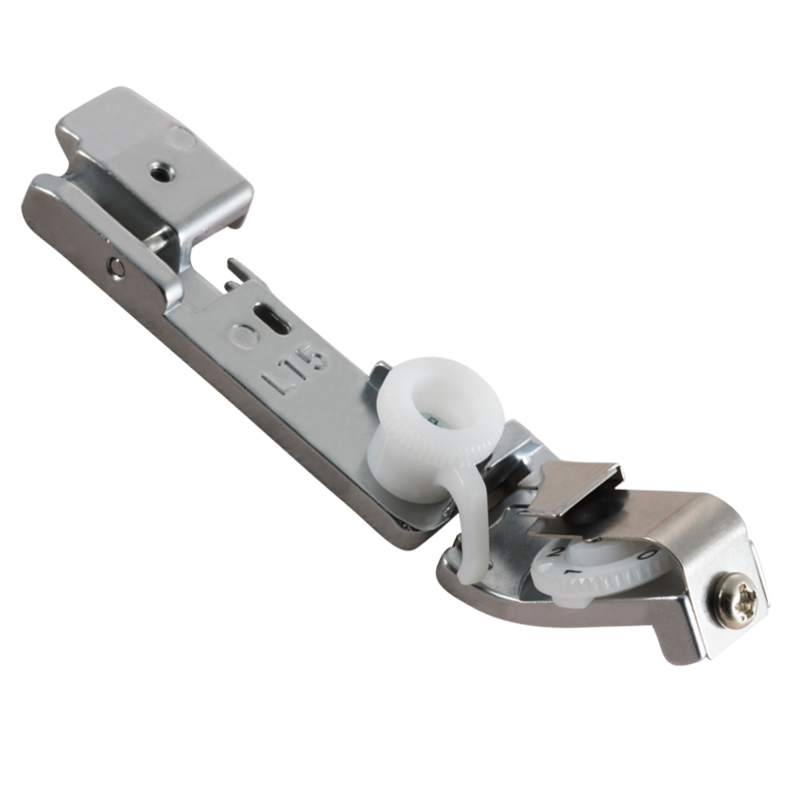 Holds and guides pearls as you use your overlock machine. Guides up to 5mm stranded pearls for one step attachment. Channel for pearl feeding. Adjustable stitch length avoids needle breakage.